Bubbles are different than foam, and when you notice foam starting to form in your spa or hot tub, you must take action. 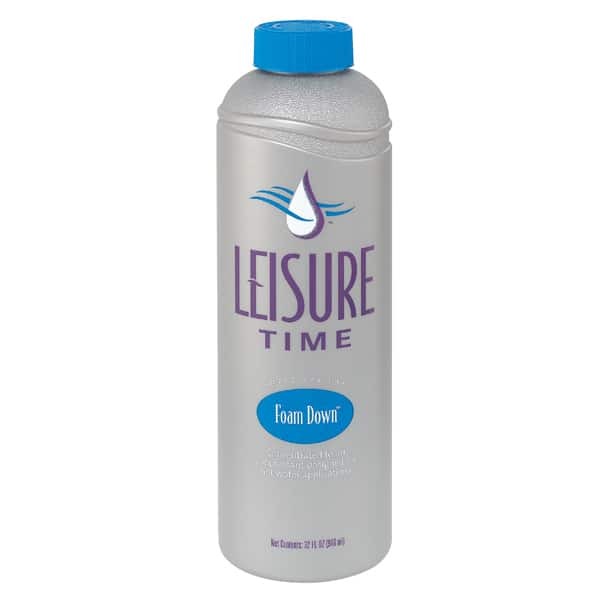 Foam Down is a concentrated foam suppressant that eliminates unwanted foam from the water in your hot tub or spa. This Foam Down not only removes foam, but also works to prevent foam from reoccurring in your warm water. Foam Down works instantly and requires only a small amount of the chemical to remove foam buildup. It can be added directly or sprayed directly onto the foam. If continuous foaming problems occur even with use of Foam Down, you may have a larger problem. Contact Family Leisure to diagnose the imbalance! Continuous foaming problems can be caused by improper balances in the spa water or excess lotions from the body. If problems worsen or continue, contact Family Leisure for help with diagnosing the problem.